The ownership of risks and controls starts with the business unit managers and their staff. 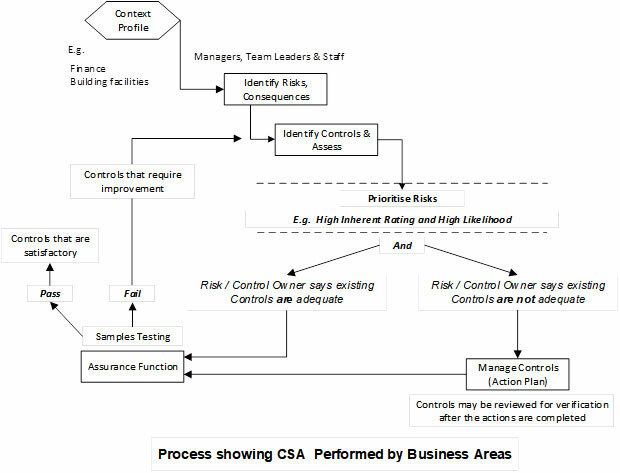 They are required to identify their risks using the risk management processes that have been described earlier. The risks with higher exposure are the ones that the CSA program may subsequently follow up on, particularly to review whether the controls are effective of otherwise. Risk Management Indicators guide you to make better decisions on which Controls need to be improved.